The system will then calculate “fashion tastes” by scanning the human's outfit, and could even determine their income or social class based on any “expensive mechanical and/or electronic devices” it detects. Even creepier, the smart-home will track audio signatures too, could be used to identify users, but also determine gender and age. With a treasure trove of data mined from every room of the home, the smart-home will then tell the human what to watch, what to eat, where to go, and what to buy. "Google and Facebook both record and analyze user behavior, use it to sort people into categories, and then target them with ads and other content. Facebook likely knows your race and religion, while Google uses your emails and search history to sort you into ad-ready brackets. Netflix infers all types of data on users based on what they watch, then serves back hyper-specific movie and TV categories. 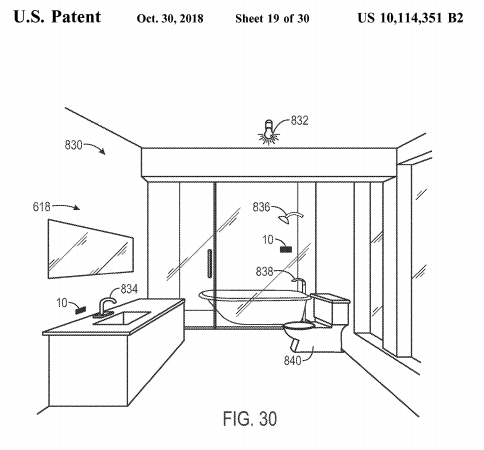 This patent simply expands the areas in which your behavior is already mined and recorded from your phone and laptop to your bedroom," wrote The Atlantic. 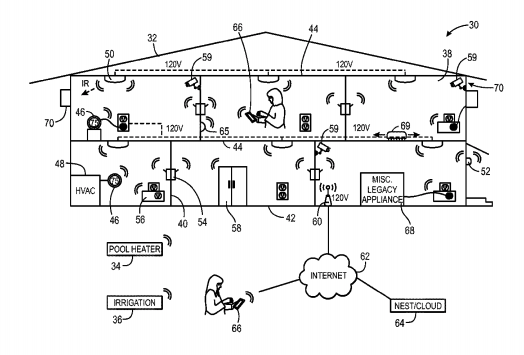 The second patent suggests that Google wants to data mine children's bedrooms. It proposes a smart-home system that would aid parents in managing the household, using cameras and sensors to monitor kids’ behavior. "Parents could program a device to note if it overhears “foul language” from children, scan internet usage for mature or objectionable content, or use “occupancy sensors” to determine if certain areas of the house are accessed while they’re gone— for example, the liquor cabinet. The system could be set to “change a smart lighting system color to red and flash the lights” as a warning to children or even power off lights and devices if they’re grounded. While people can set goals for their children or themselves, these policies could also be “based upon certain inputs from remote vendors/facilitators/regulators/etc.,” according to the patent. That opens the door for companies to offer rewards for behaviors in the home. A household may set the internal goal of “Spend less time on electronic devices,” or “Use 5 percent less energy each month for the next three months.” Google devices could then connect to anything “smart” in the home and send you, and potentially a vendor or third party, updates on usage and screen time," wrote The Atlantic. 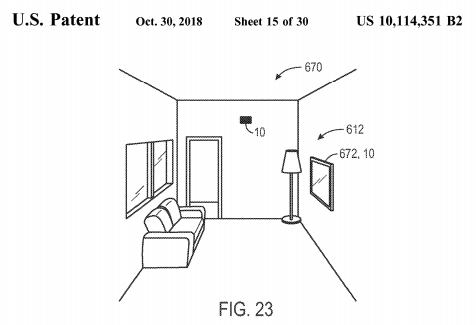 While the patents are not products just yet, they do represent a significant trend in what Google wants to conquer next: Your home.